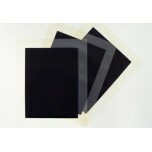 Fumasep F-930-RFD membrane is a perflourinated cation exchange membrane with low resistance, high.. 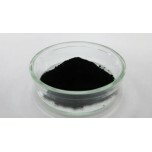 Platinum Palladium Black catalyst consists of a 1:1 ratio. Suggested Applications Platinum ..
20% Platinum Palladium on Vulcan (3:1 ratio) supported on Vulcan XC-72 (carbon). Suggest..
20% Platinum Palladium on Vulcan (1:1 ratio) supported on Vulcan XC-72 (carbon). Suggest..
Fumasep F-1850 membrane is a flourinated cation exchange membrane with low resistance, high block..
20% Platinum Palladium on Vulcan (1:1 ratio) supported on Vulcan XC-72 (carbon). Suggested Ap..
Fumasep F-988-PTFE membrane is a per-flourinated sulfonic acid and carboxylate bilayer type catio..
Fumasep F-10270-PTFE-e membrane is an extruded per-flourinated sulfonic acid cation exchange memb.. 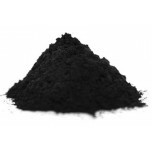 Platinum Iridium Black catalyst consists of a 1:1 ratio. ..
20% Platinum Iridium on Vulcan (1:3 ratio) supported on Vulcan XC-72 (carbon) with an average par..
20% Platinum Iridium on Vulcan (3:1 ratio) supported on Vulcan XC-72 (carbon) with an average par..
20% Platinum Iridium on Vulcan (1:1 ratio) supported on Vulcan XC-72 (carbon). ..
Fumapem FS-715-RFS membrane is perfluorinated cation exchange membrane - reinforced and stabilize..
40% Platinum Iridium on Vulcan (1:1 ratio) supported on Vulcan XC-72 (carbon). ..